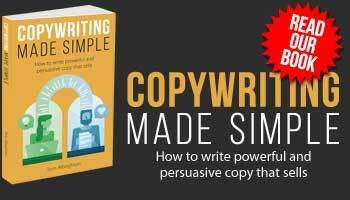 Get ‘Copywriting Made Simple’ for just £1.99 – but act fast. How an image intended to discourage led me down memory lane. How written tone of voice lets brands communicate consistency, character and value. Using divisive authority figures to encourage the reader to disobey. The phrase ‘we believe’ shows how ‘brand purpose’ gets in the way of a sale.